Aisultan Nazarbayev has previously come to public attention for some odd outbursts. Aisultan Nazarbayev's profile picture on Facebook. One would imagine that the grandson of Kazakhstan’s most powerful man would have better places than Facebook to vent about bureaucratic headaches. 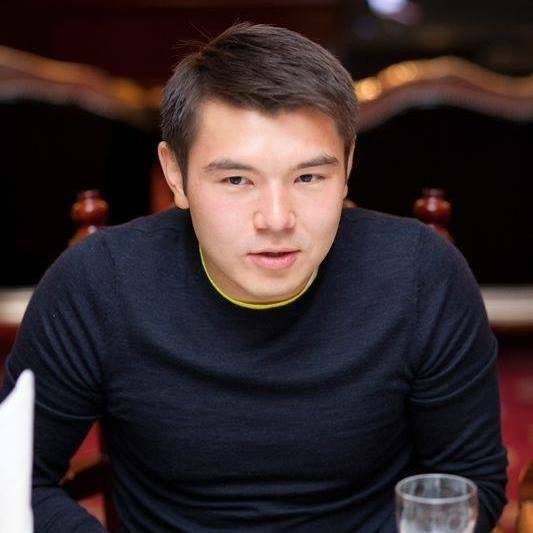 But 28-year-old Aisultan Nazarbayev, son of President Nursultan Nazarbayev’s eldest daughter, has raised eyebrows with a bizarre online tirade that has some wondering about his emotional wellbeing. In his January 23 post on the social media website, he told a cryptic tale about his return home after “breaking out of captivity in a private Russian jail.” He offered no elaboration on the nature of this facility or why and by whom he was being kept there. All he offered was that his documents had been “stolen and destroyed” and that he had been placed in confinement by people that he trusted. Now presumably back in Kazakhstan, the young Nazarbayev has apparently embarked on a mission to restore his documents. Kazakhs who have had to perform any such task in the notorious Civilian Service Centers – or TsON, to use their widely known Russian initials – will know what a nightmare chasing paperwork can be. Rather than falling back on his contacts, Aisultan has gone it alone, to his evident frustration. “It is just hell what is going on in our state offices. They sent me from one office to another… And in every place they had no idea how to handle my situation,” he wrote. Nazarbayev blamed the migration services and the Interior Ministry for his troubles, then added that while he found it shameful having to turn to his grandfather for assistance, he saw no other choice. The presidential family is as a rule no-go territory for reporting and speculation, but that has not stopped the whispering about Aisultan Nazarbayev, whose mother Dariga Nazarbayeva is a high-ranking senator and is sometimes spoken of as a potential presidential successor. Aisultan caused particular sensation when he resurfaced in the public eye in December after a yearlong disappearance. Again writing on Facebook, he spoke elliptically about having once again achieved freedom thanks to the assistance of Russian law enforcement authorities. What exactly that meant or where Aisultan had been all that time is quite the mystery, although gossipers have devised their own theories. An opposition-run YouTube channel Base created by exiled opposition couple Aidos and Natalia Sadykov claimed in a video uploaded in September that President Nazarbayev had intervened personally to send Aisultan to a drug rehab clinic in Switzerland. The allegation could not immediately be verified and Aisultan has made no specific public assertions to support it. But in September 2017, he did write candidly in a Facebook post that he had in the past dabbled with narcotics and thanked his grandfather for helping him get over his addictions. Aisultan then vanished. Aisultan’s online activities have also caused President Nazarbayev political headaches. At the start of 2017, he accused close associates of the president – billionaire businessman Bulat Utemuratov, ambassador to Russia Imangali Tasmagambetov, National Bank chairman Daniyar Akishev and the then-head of the presidential administration Adilbek Dzhaksybekov – of corruption. The exiled opposition lapped that up with glee. “The patience of [the president] snapped… Nazarbayev forbade his grandson from dabbling in politics and from using social media websites,” suggested the commentator on the Base video.